It has been a little while since I posted new content here at CRW, but I am back. Thanks to all of you loyal readers and new visitors who discovered the blog during my break. I hope to keep everyone interested, and in particular, stay tuned because there will be some interesting changes in both content and format here at CRW which I hope to have in place by the first of the year. In the meantime, let me jump back in with a quick post on a lightning-rod issue: gays in the military. 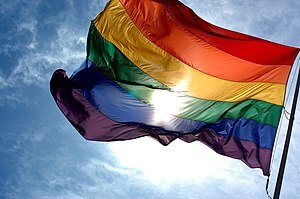 On October 12, 2010, defying the Obama Administration‘s desire for a stay, U.S. District Judge Virginia Phillips‘, seated in San Diego, CA, issued a worldwide injunction Tuesday immediately stopping enforcement of the military’s “don’t ask, don’t tell” policy, suspending the 17-year-old ban on openly gay U.S. troops. Her landmark ruling also ordered the government to suspend and discontinue all pending discharge proceedings and investigations under the policy. Views about the judge’s decision were predictably divided. Rather than repeat the principals press comments verbatim here, you can read an excellent article by following this link to Yahoo. The “Don’t Ask, Don’t Tell” policy was enacted in 1993 under President Clinton, but has been widely disparaged by civil rights advocates. I was just made aware of some interesting statistics regarding the number of servicemembers discharged from the military under the “don’t ask, don’t tell” policy. According to my information, which is apparently grounded in stats kept by the Servicemembers’ Legal Defense Network, 12,500 servicemembers have been discharged from the U.S. military since the “don’t ask, don’t tell” policy was signed into law. I encourage you to visit the Servicemembers’ website directly, as I have not independently verified the accuracy of this number. If it is accurate, that is an outrageously high number for a comparatively recent law. This entry was posted in Equality, Gays in the Military and tagged Bill Clinton, don't ask don't tell, gays in the military, Obama administration, United States federal judge, Virginia Phillips. Bookmark the permalink.